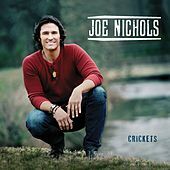 Joe Nichols' life seems like a country song in and of itself. He grew up in Rogers, Ark., where his introduction to music came from watching his father play bass in a local band. In high school Nichols cut his teeth in a rock 'n' roll band, but he soon became infatuated with country music. While working a night job as a DJ, he made connections that helped land him a deal with Intersound, the label that released his self-titled 1996 debut. He eventually signed with Universal and unleashed Man With a Memory in 2002, which finally got him onto the country charts. 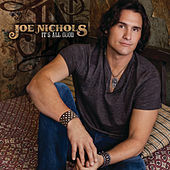 Soon after, Nichols was awarded the Top New Male Vocalist by the Academy of Country Music and was nominated for three Grammys. He struck again with 2004's Revelation, before cranking out III the next year and the critically acclaimed Real Things in 2007. In September of that year, Nichols married longtime sweetheart Heather Singleton. The following month, he checked himself into rehab. Sober and eager to get back on track, Nichols got the lead role in the Broadway play Pure Country, and in 2009 he released Old Things New.